BOFA’s Advantage Base 1 Oracle fume extraction and filtration system effectively removes potentially harmful fumes and particulates created during the laser marking process. By maintaining a dust-free operating area, the system helps to protect valuable equipment, maintain a higher quality mark, and reduce the number of rejects and contaminants. The quiet and compact Advantage Base 1 Oracle effectively removes potentially harmful fumes and particulate created during light duty laser marking, coding and engraving applications making it ideal for use in schools, sign making workshops and small scale industrial environments. 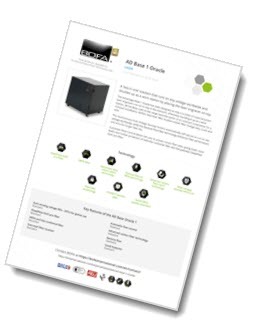 We have additional Videos for the BOFA Fume Extractors.